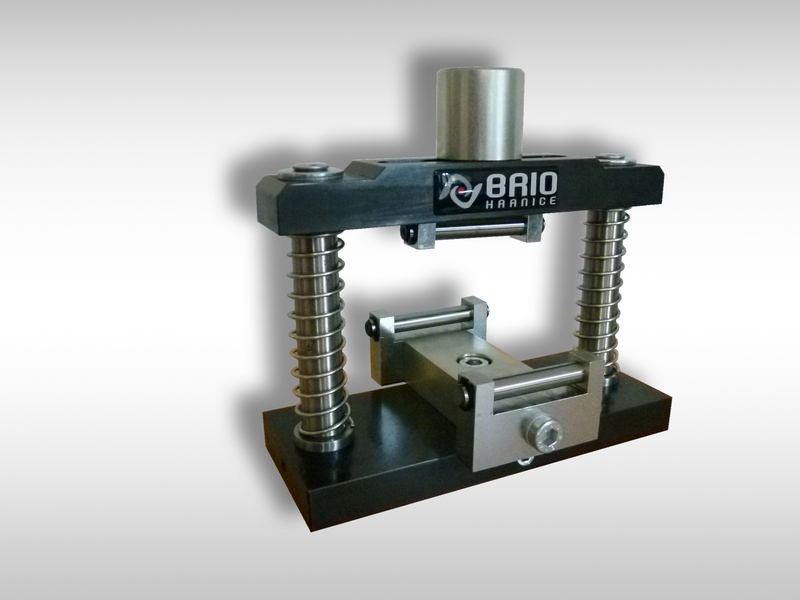 Device for bending test, designed for prisms 40 x 40 x 160 mm. Designed for determine the bending strenght of cement and mortar prisms accordig to EN 196-1. The frame of bending test machine is made of steel. The upper crosspiece is sliding on two columns. Reversible move of upper crosspiece is secured by compressing springs placed on the columns. We also offer the device produced by Form + Test, see compression machines MEGA.